This was another GREAT week at Publix! For coupon match-ups and more Friday Finals go to Southern Savers! I snagged alot of good deals at Harris Teeter and Publix this week! For coupon match-ups and more Friday Finals, go to Southern Savers. This was another great week at Publix. I hope you all had a great week shopping! For coupon match-ups and more Friday Finals, go to Southern Savers! It was another great week at Publix! Did you save money this week using coupons and sales? I have been super busy clipping coupons. Over the last 3 weeks, I have saved $257.55!!! 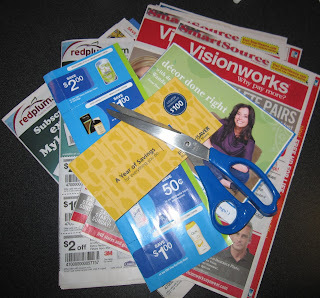 Have you been saving money with coupons? I grabbed some great deals at Bi-Lo on Monday! Thanks Southern Savers for the coupon match-ups! For more Friday Finals click here. Check out my Clipping for College success! This was a good week at Publix! For more Friday Finals, go to Southern Savers! Thanks Southern Savers for the coupon match-ups! providing resources for and advice from brilliant women who have left their careers to give all of their time and talents to their children at home. Let us know if you would like your product included! Interested in advertising in this space? Want us to host a giveaway? ©2009 Brilliant Moms. Please request permission before using any material contained at this site. Thank you!